Hi Tom, The internal plastic housing of the Reich Pelican mixer tap (over the sink) has broken and I need a replacement unit. I have got the old tap out and have been able to remove the H&C pipes but are there are different units available as most seem to have "tails" at the base whereas my tap doesn't - it just has the two holes for the pipes which push-fit in. It also has a microswitch. Can you help me choose the right mixer tap please? The Pelican tap that we supply, our ref. 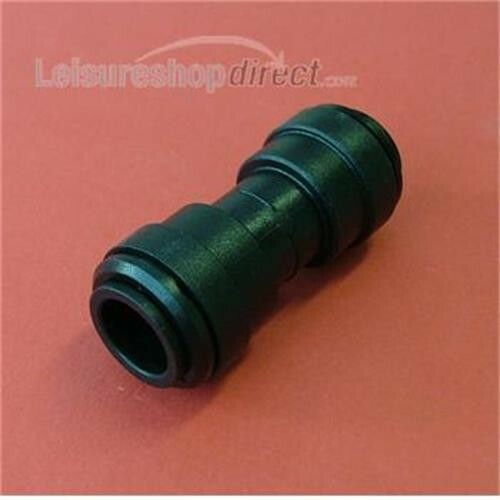 135567, has short angled connections to suit 12mm push fit connectors such as our ref 129921. This suits 12mm O/D semi rigid pipework. Agree with previous reviewers - excellent quality and easy fit for that awkward fitting position. Fast delivery which did not hold up repair work. Push Fit Equal Staight Connector 12mm - bought to modify the caravan water system. I was adding an accumulator. Very easy to fit with a good positive lock. Modified the system - perfect no leaks first time.